Facilities: USP Lewisburg with an adjacent minimum security satellite prison camp. 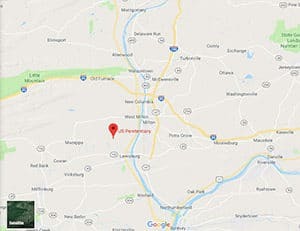 Location: USP Lewisburg is located in central Pennsylvania, 200 miles north of Washington D.C.; 170 miles north of Philadelphia, Pennsylvania; and 70 miles north of Harrisburg, Pennsylvania. The institution is located approximately 2 miles off of U.S. Route 15. Background: Initially named North Eastern Penitentiary, USP Lewisburg was one of four federal prisons to open in 1932. As of 2009, USP Lewisburg was designated as a Special Management Unit intended to house the most violent and disruptive inmates in the Bureau of Prisons. Although most USP Lewisburg inmates are housed in the SMU, there remains a work cadre of approximately 200 inmates in the USP’s general population. Housing: Inmates are housed in one and two-person cells, while inmates in the camp are housed in dormitories. Health Services: USP Lewisburg and the satellite camp treat all medically necessary emergent and non-emergent conditions. Health care services based on health care staff referrals and health care staff-approved follow-upare treatment for a chronic condition. Other services include preventive health care services, emergency services, diagnosis or treatment of chronic infectious diseases, mental health care, and substance abuse treatment. Dental sick call, physical examinations, annual TB screening, influenza vaccination and medications are also available. While emergency care is available 24 hours a day, inmates must submit a sick call form to be evaluated for routine health care needs. Psychology Services: At USP Lewisburg, every inmate will meet with a psychologist for a brief intake interview to review psychological history. Crisis intervention, available 24 hours a day, is provided to inmates with serious and immediate psychological concerns. For less urgent matters, the prison offers brief counseling. The department has a small self-help library with books and videotapes related to various psychological issues. A psychiatrist is available for inmates deemed to need medication for the management of psychological difficulties. For all but emergency situations, inmates must contact Psychology Services in writing or during an open house period. In the camp, Psychology Services is available for crisis intervention and brief counseling as deemed necessary. Psychology also performs mental health evaluations by staff referral. The Health Services department works with Psychology Services to access need for psychotropic medication. Other services, such as group therapy and mental health related classes, are made available as time permits. Residential Drug Abuse Program (RDAP): USP Lewisburg and the camp both house a Residential Drug Abuse Program (RDAP). A Drug Education Class, and the Non-Residential Drug Abuse Program (NR-DAP) are also offered. Education Services: USP Lewisburg provides literacy, GED, and English-as-a-Second Language (ESL) programs. A parenting program and Adult Continuing Education (ACE) classes are also available. High school diplomas and post-secondary programs are available through paid correspondence programs. Advanced Occupational Education: USP Lewisburg offers advanced occupational education in Business English/Information, Business English/Reading, Business Math, and Computer Fundamentals. The camp offers Desktop Publishing and Graphic Arts. Vocational Training: USP Lewisburg and the camp do not offer any vocational training aside from the advanced occupational education and apprenticeship programs. Apprenticeship: USP Lewisburg offers apprenticeships in Commercial Housekeeping, Electrical, HVAC, and Plumbing. They camp does not offer any apprenticeship programs. Library Services: A law and leisure library are available to inmates at USP Lewisburg. The law library provides legal research and legal document preparation. The library is open during the daytime and most evenings. Typewriters are provided for typing legal documents only. Inmate law clerks are on duty to assist in locating legal references. The Education Department maintains a leisure library which contains approximately 4,000 volumes, including magazines, newspapers, periodicals, fiction and nonfiction books, and reference books (i.e. encyclopedias, dictionaries, medical encyclopedias, college listings and synopsis, recent volumes of “Books in Print”, etc.). The leisure library also contains a well stocked Hispanic library, including various books, magazines, and newspapers. UNICOR: USP Lewisburg and the camp house UNICOR facilities. Commissary: Inmates are allowed to spend up to $360.00 monthly in the commissary. Items include ice cream, food, candy, drink mixes, sodas, and other items. Clothing, shoes, and electronics can also be purchased. Inmates are only allowed to shop on their assigned day each week. Recreation Services: Leisure and recreation programs at USP Lewisburg include indoor and outdoor areas. Leisure activities include cards, checkers, chess, dominoes, handball, and table tennis. A music room is available by enrollment basis only. Approved bands may use the music rooms and participate in musical talent shows. The Arts & Crafts Program offers leather craft, ceramics, knitting, crocheting, acrylic painting, glass painting, pencil and ink sketching, and pastel drawing. Craft activities are restricted to the hobby shop area except for pencil and ink sketching and crocheting. These materials are permitted in quarters. A General Public Arts & Crafts Sale is available for marketing products finished through Arts & Crafts. Structured leagues in the Spring/Summer include basketball, bocce ball, horseshoes, sand volleyball, tennis, handball, soccer, and softball. In the Fall/Winter they include chess, dominoes, flag football, ping-pong, pinochle, pool, softball, and spades.